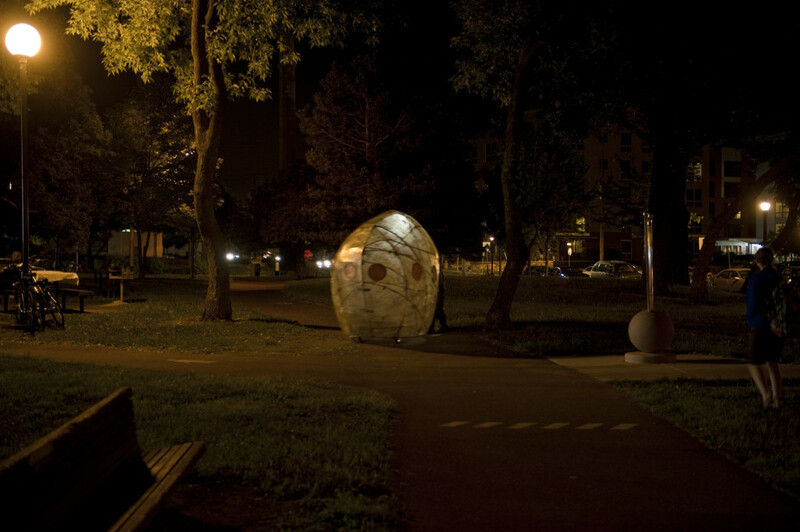 Egg & Sperm :: Hide & Seek is an adult hide-and-seek game that will be repeated throughout the night. 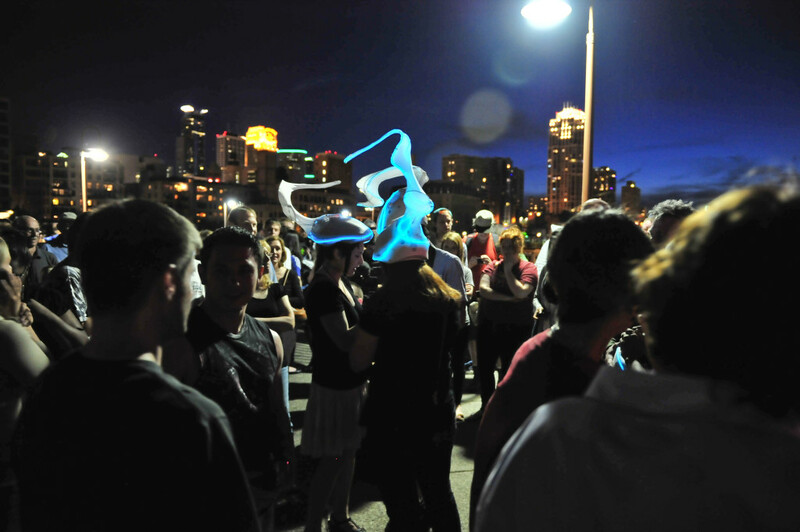 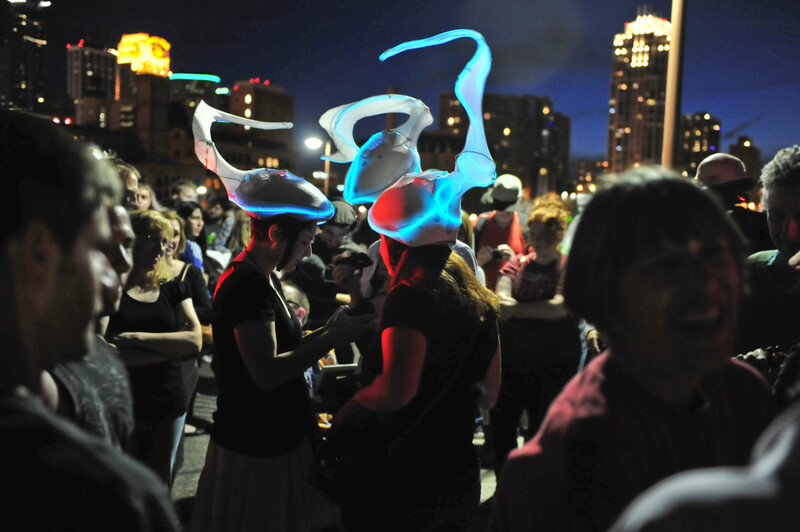 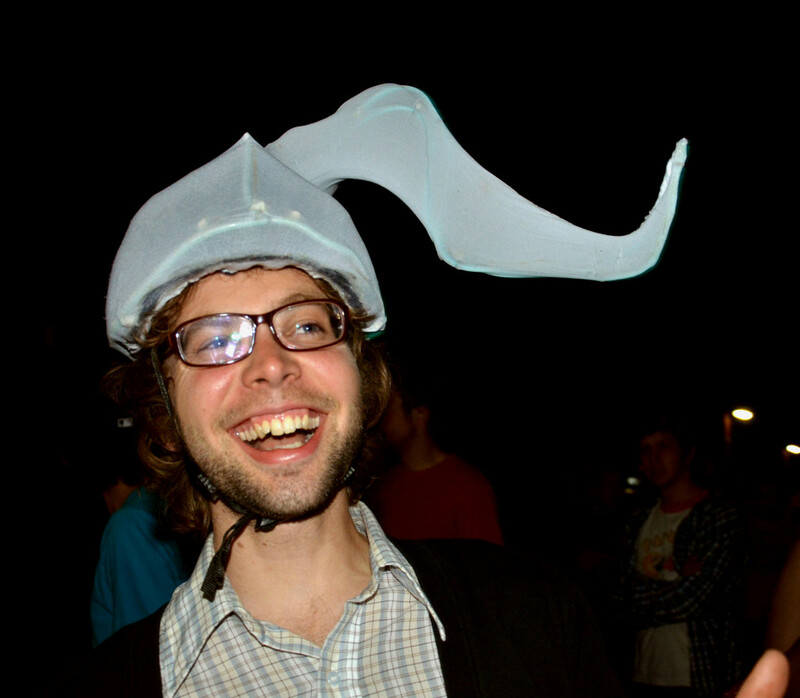 Six members of the public per rotation are invited to wear glowing Sperm helmets and count while a large Egg rolls to a hiding location. 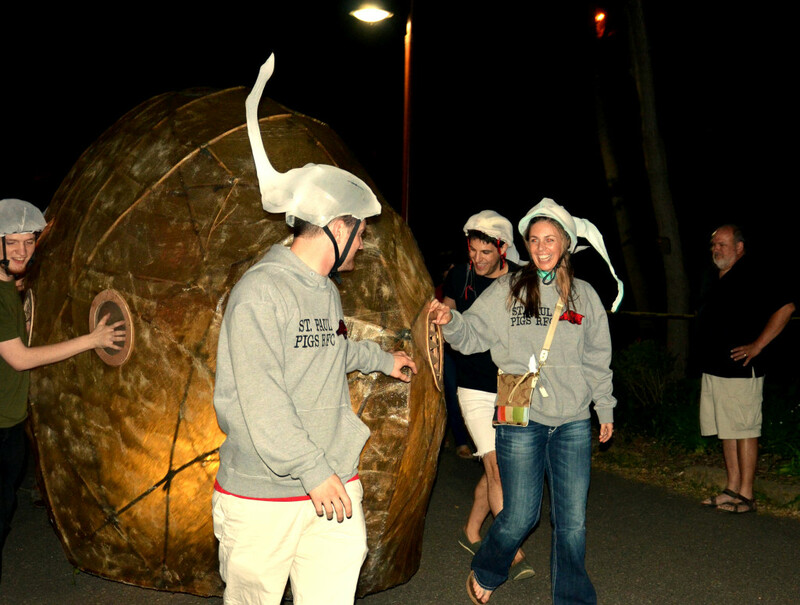 When the Sperm find the Egg and lay hands on it, it lights. 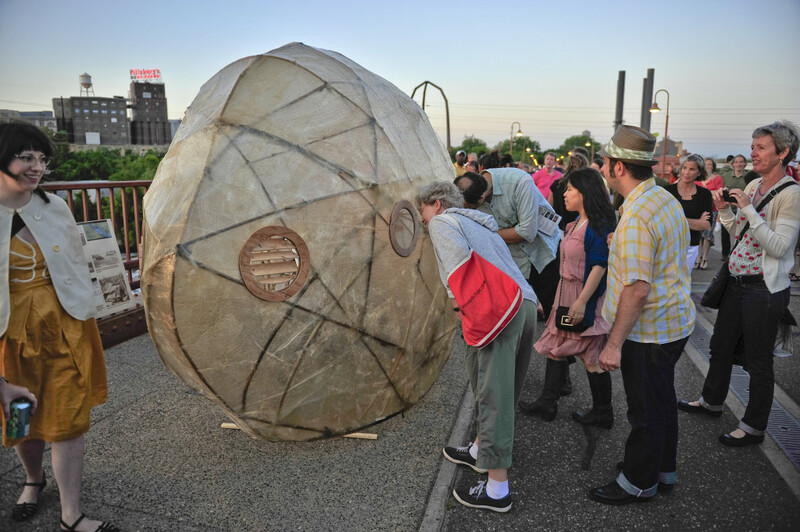 They usher the Egg back to the start point. 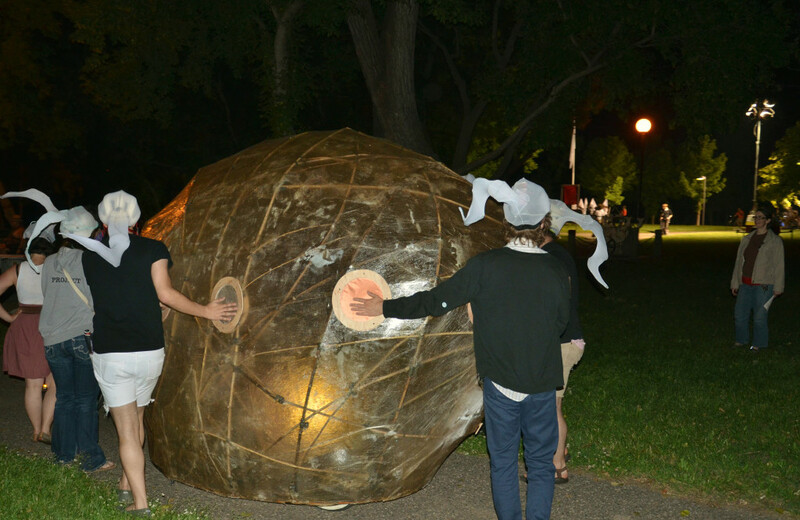 This project plays with the metaphor of contact, creating it through electricity and through the human body. 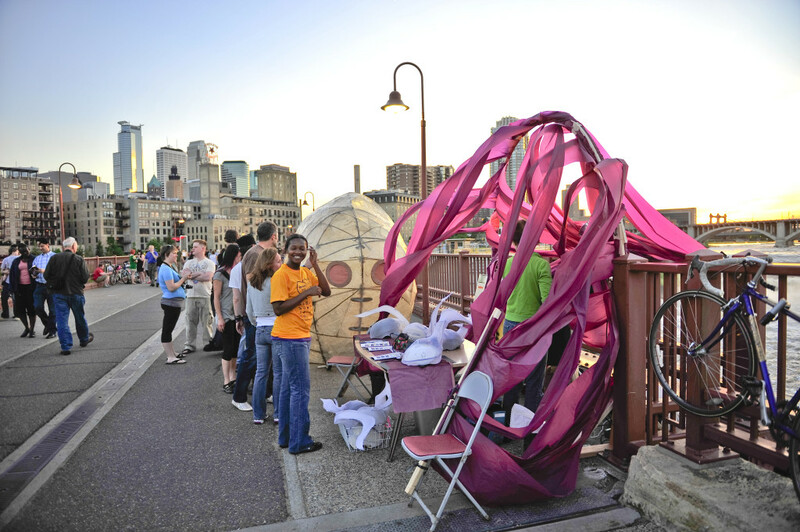 Many art + technology projects use technology as a way to bring people closer, and this project is no exception. 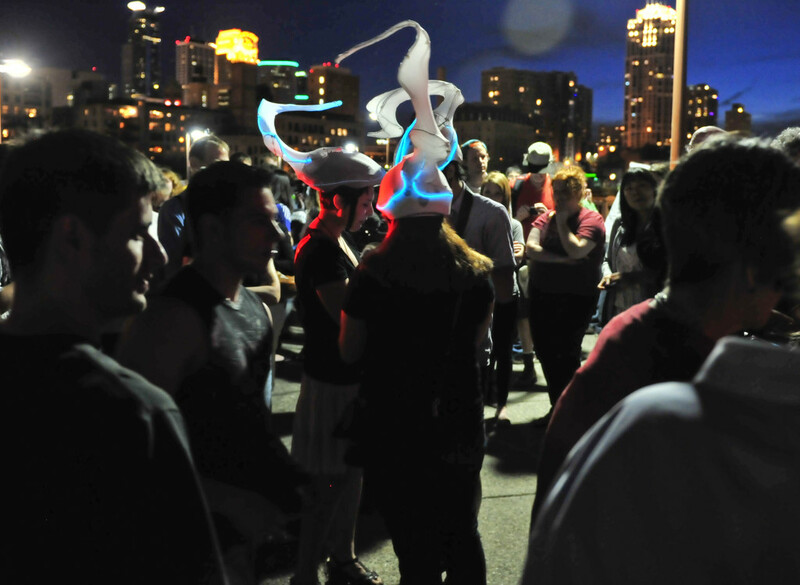 It exaggerates technology’s role by putting it at the center of the human quest for love; and yet, when you meet someone and there’s electricity, you know it. 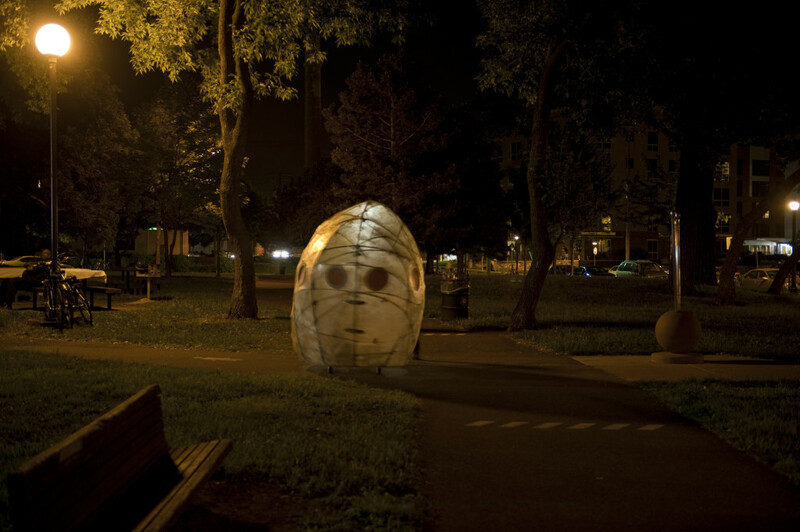 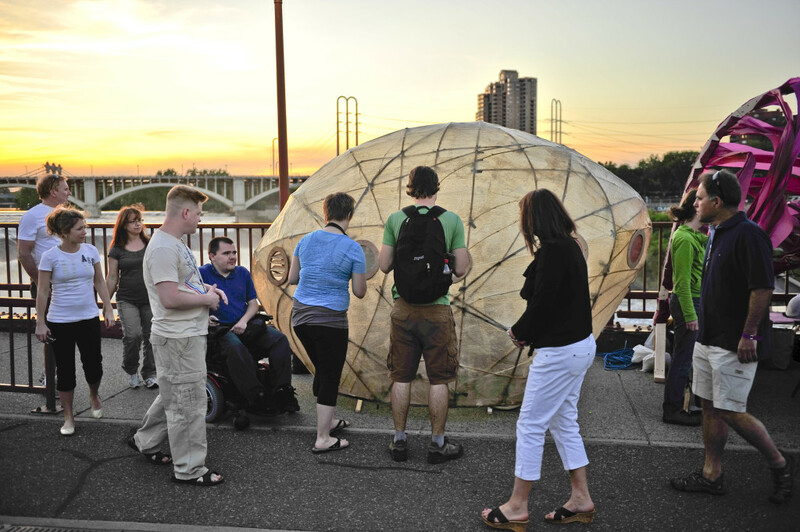 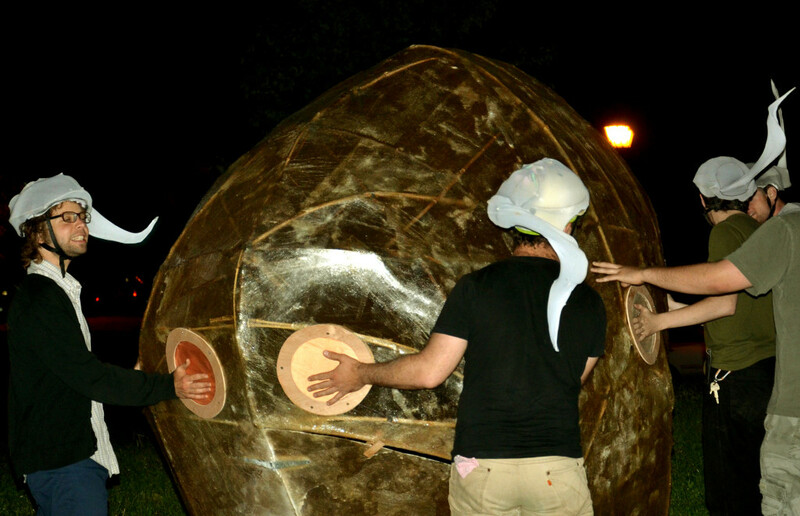 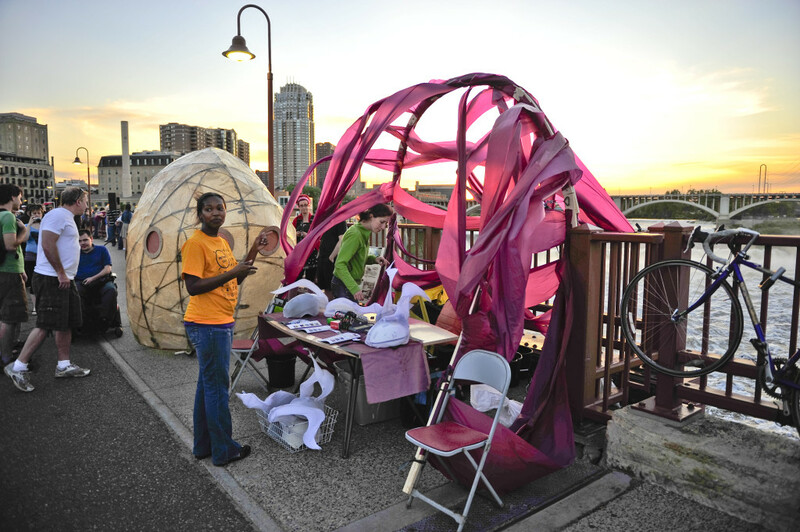 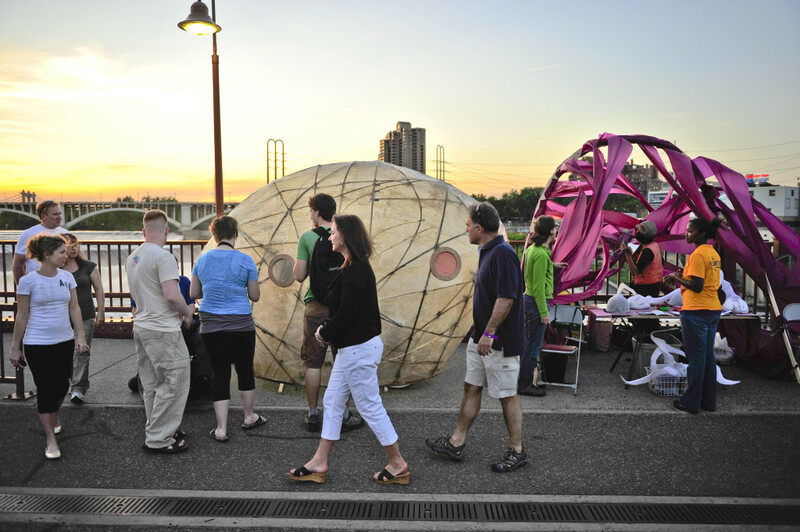 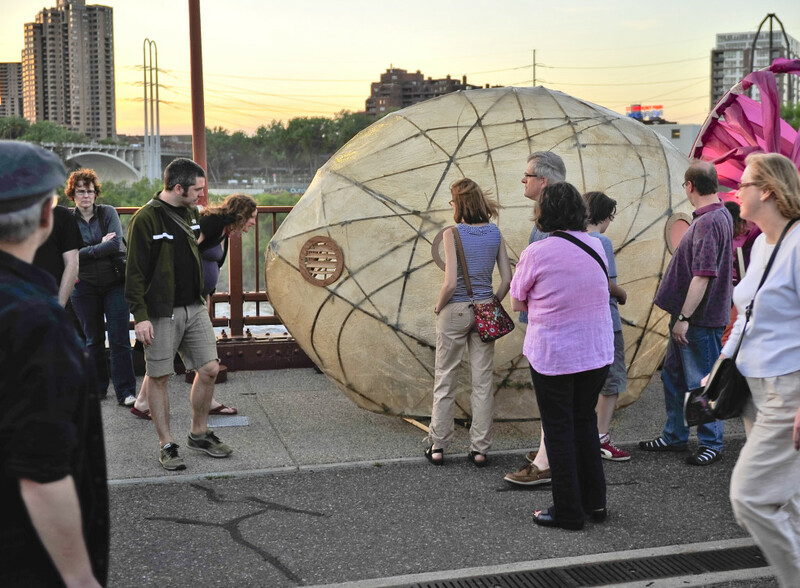 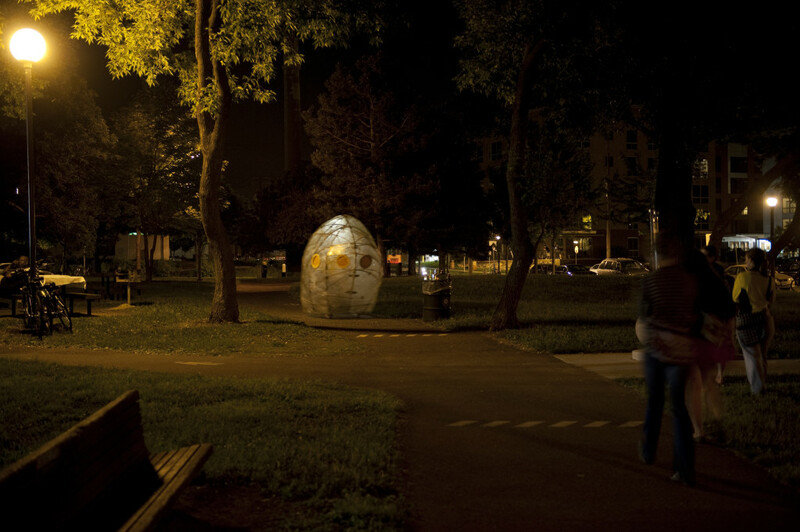 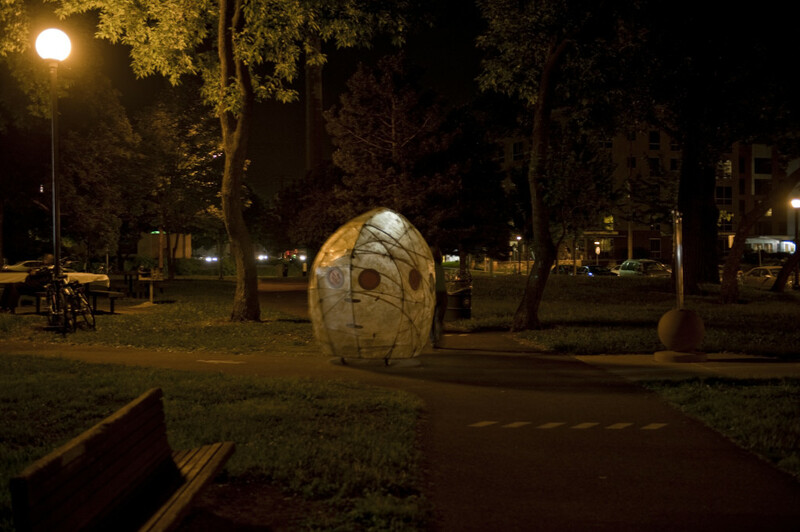 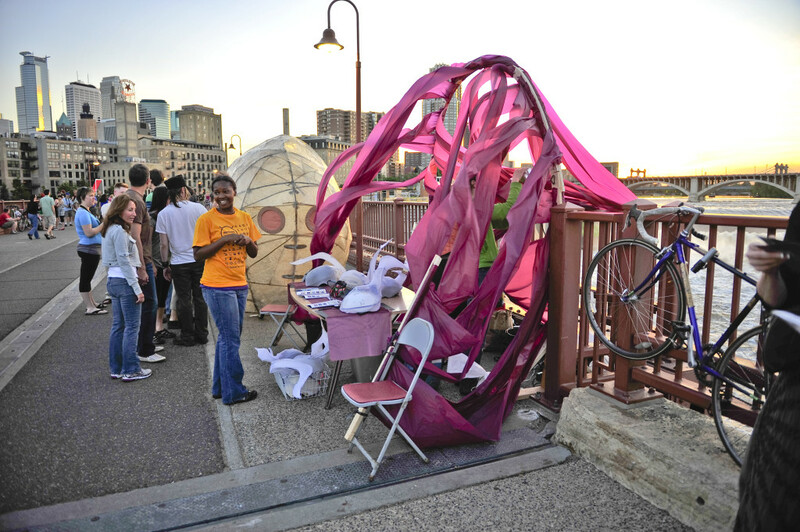 The Egg & Sperm project is inspired by the lack of romance in the tundra of Minnesota. 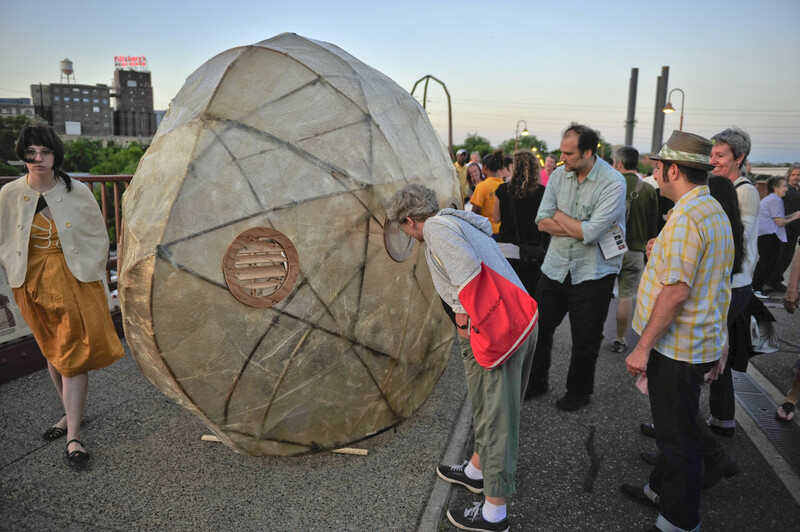 Its attention to corporeality hopes to inspire participating individuals to unplanned acts of contact. 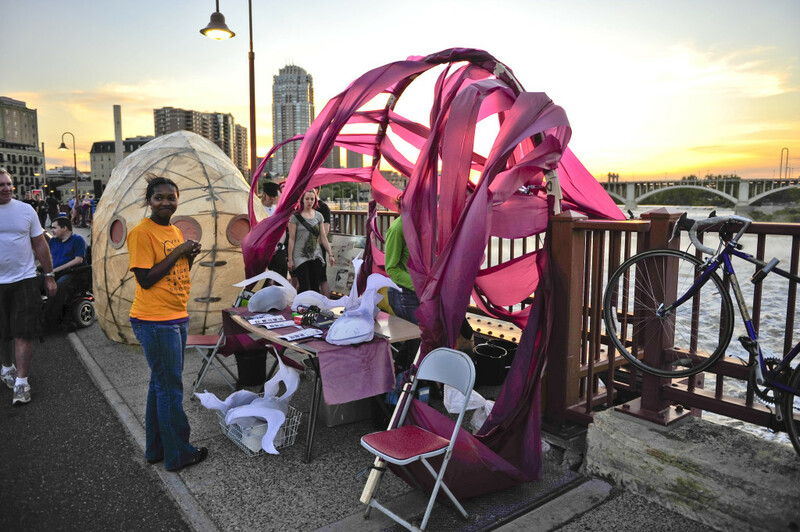 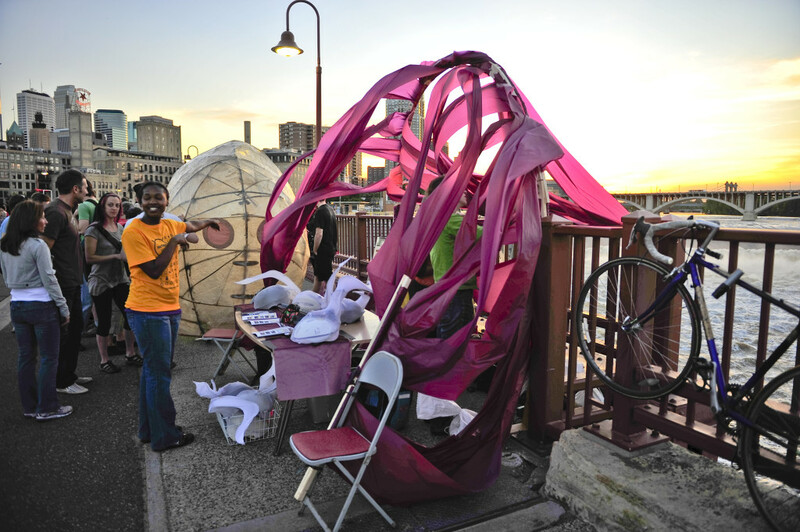 Janaki builds nomadic structures for public interactions. 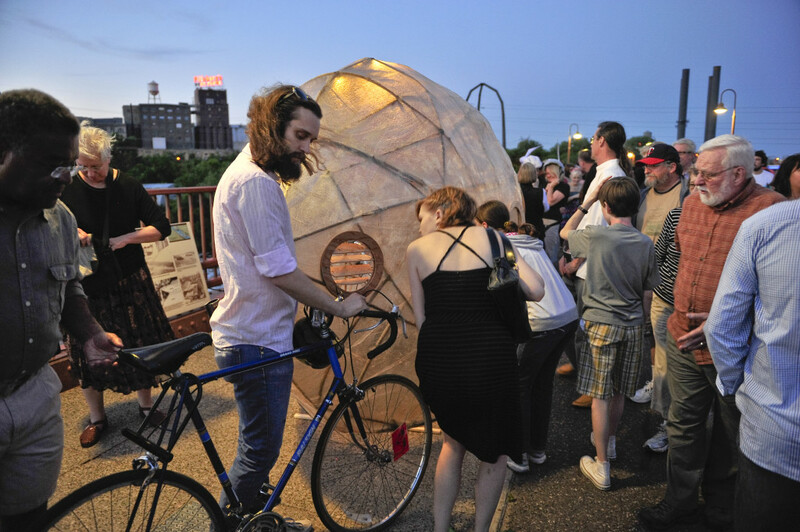 As a designer, she values intimacy and mobility. 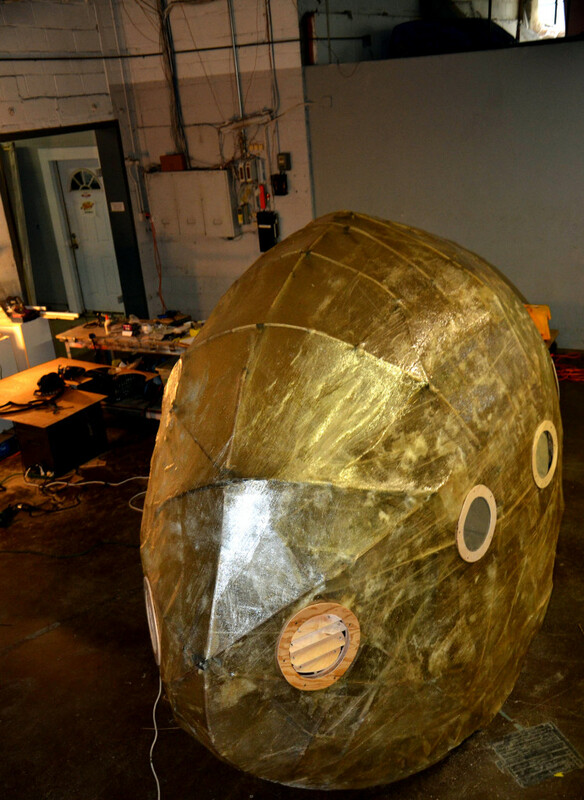 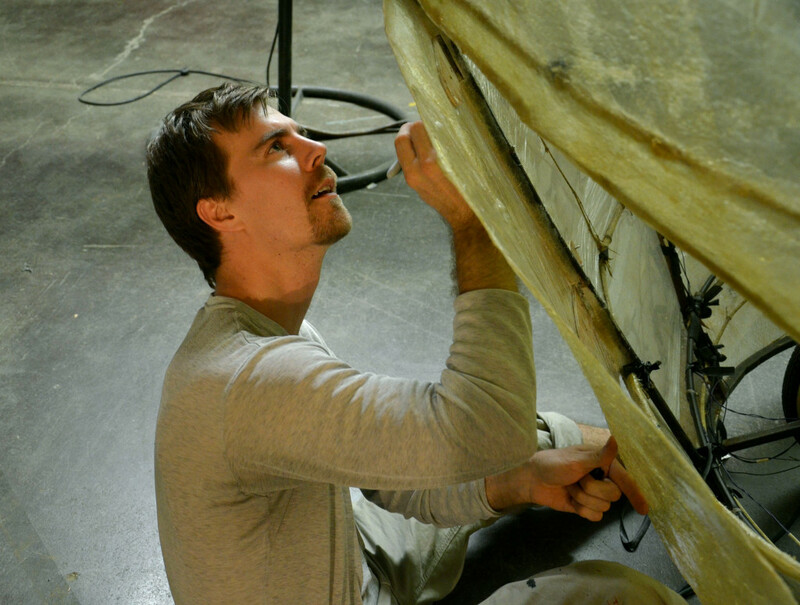 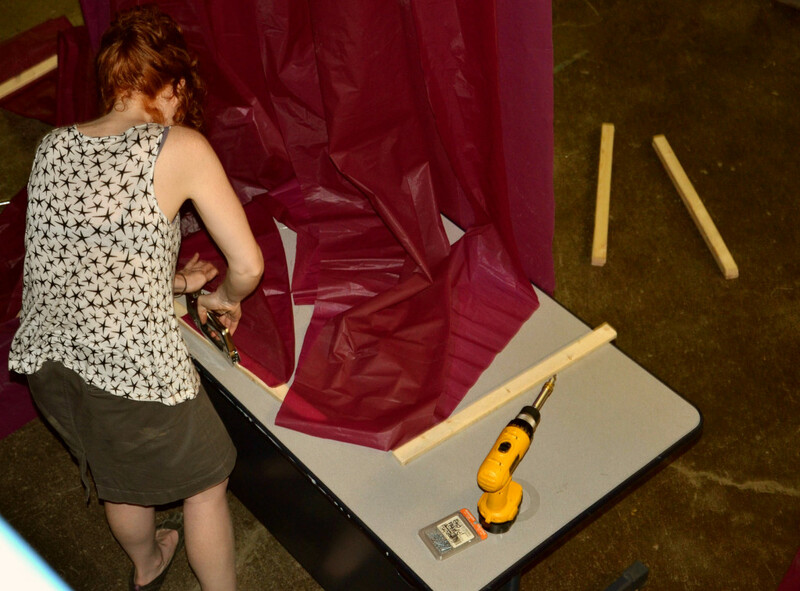 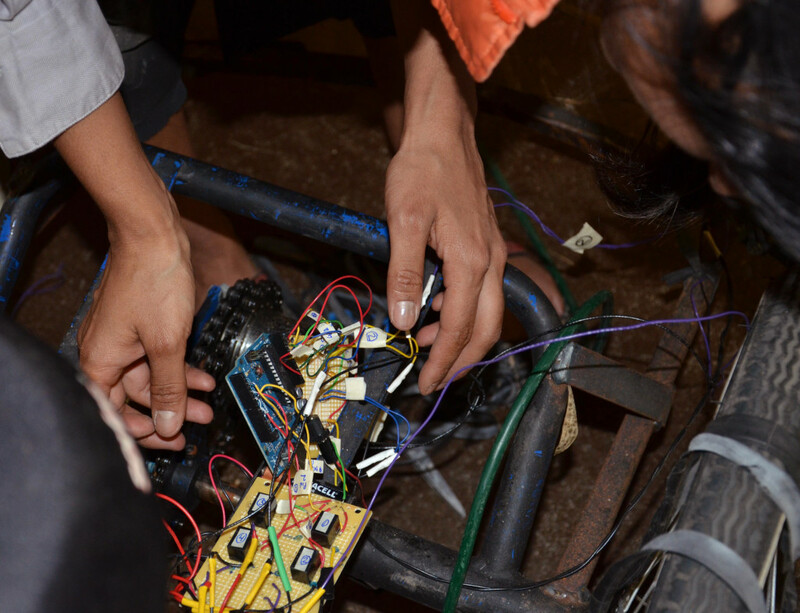 She unites technology with the traditional stagecraft of puppet theater. 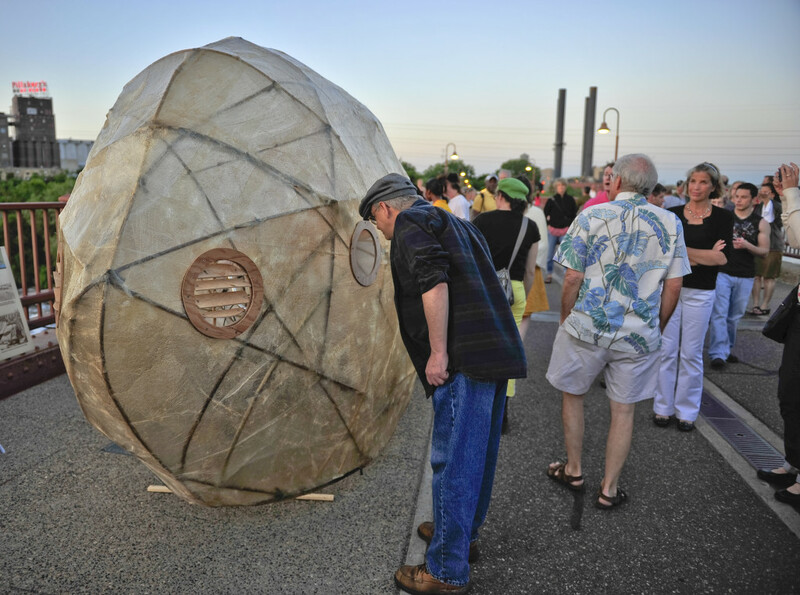 Projects evolve from her experience as a performer, a community artist, and a designer for parades and stage. 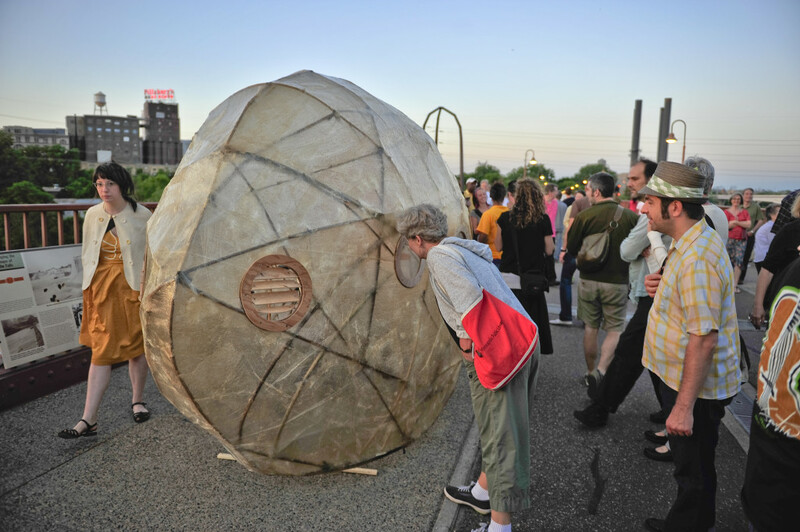 Her sense of space is informed by her training at the Lecoq School in France. 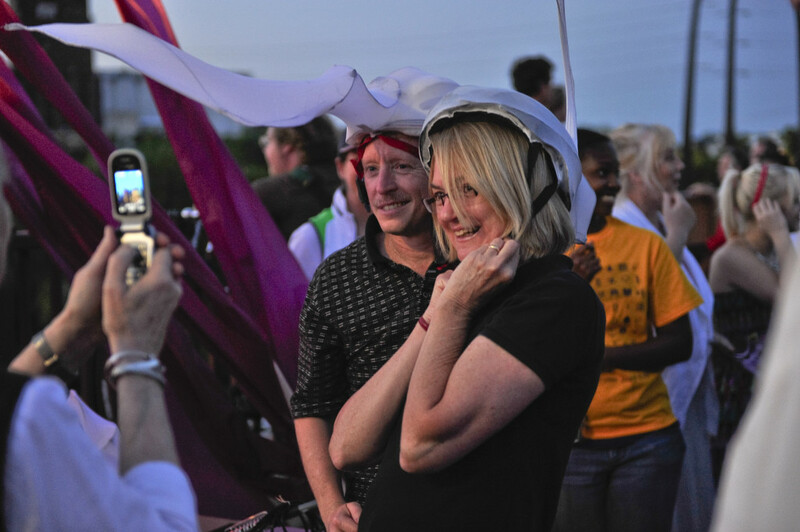 She is careful with light because she developed her vision at Larry Reed’s groundbreaking company, Shadowlight Productions. 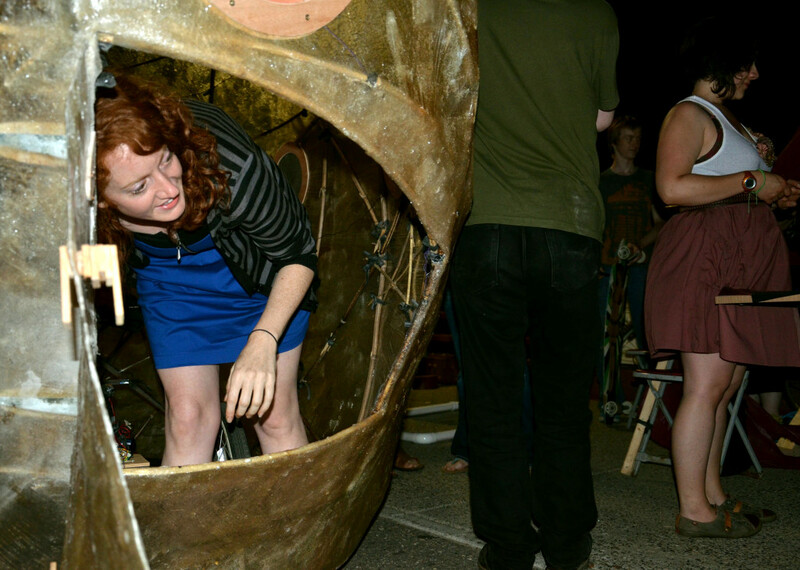 Her desire to include the public has been fanned while working as a parade artist with Heart of the Beast Theatre. 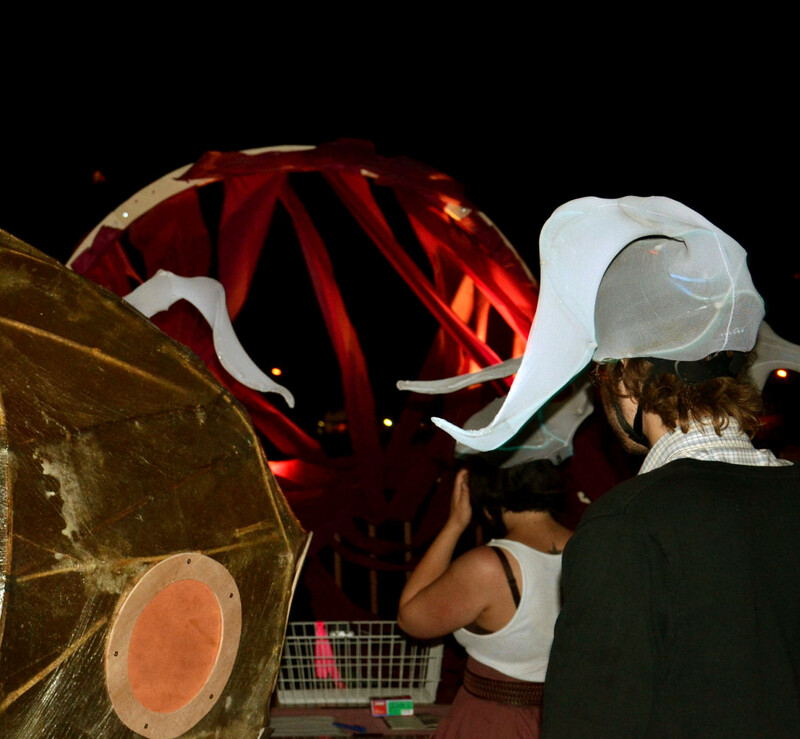 Her penchant for movement and tricksterishness comes from her restless roots as the arty daughter of Indian doctors. 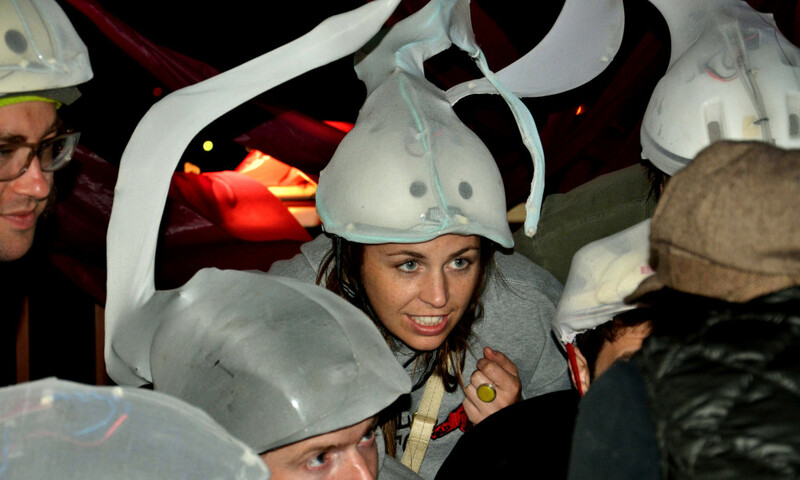 She studied at Yale University. 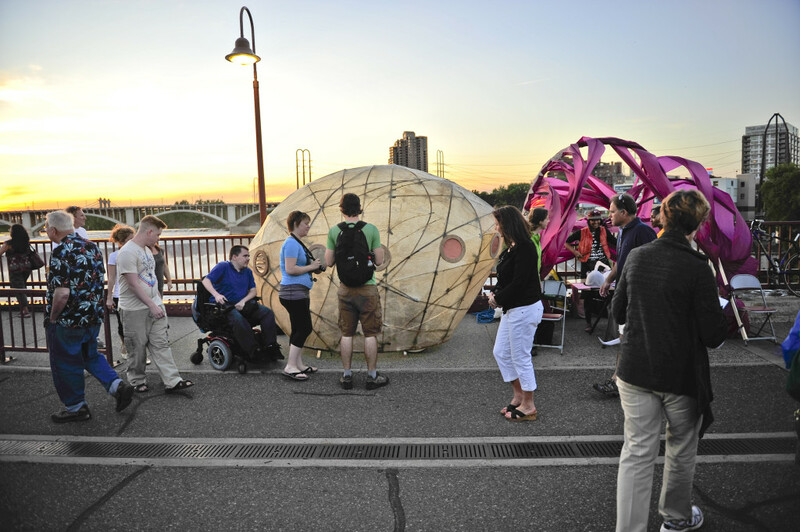 She’s received fellowships through Pillsbury House Theatre, Heart of the Beast Theatre, Northern Lights, MN, and Forecast Public Art. 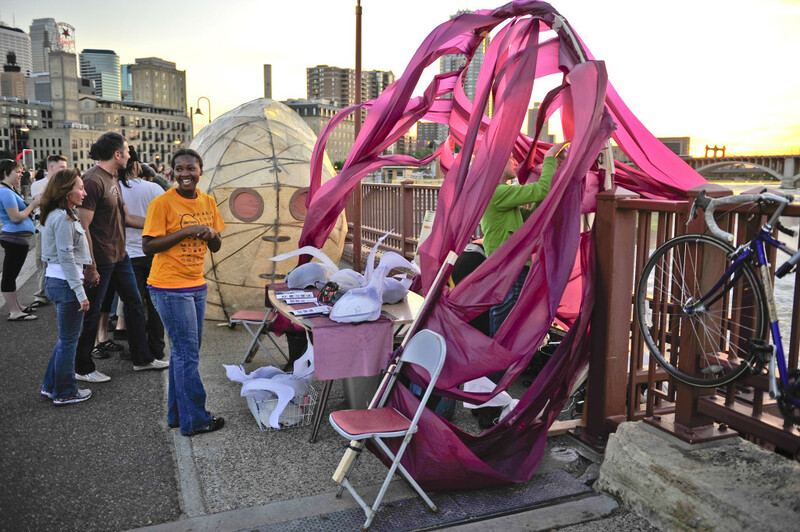 The international association UNIMA has awarded her a Citation of Excellence for her puppet work. 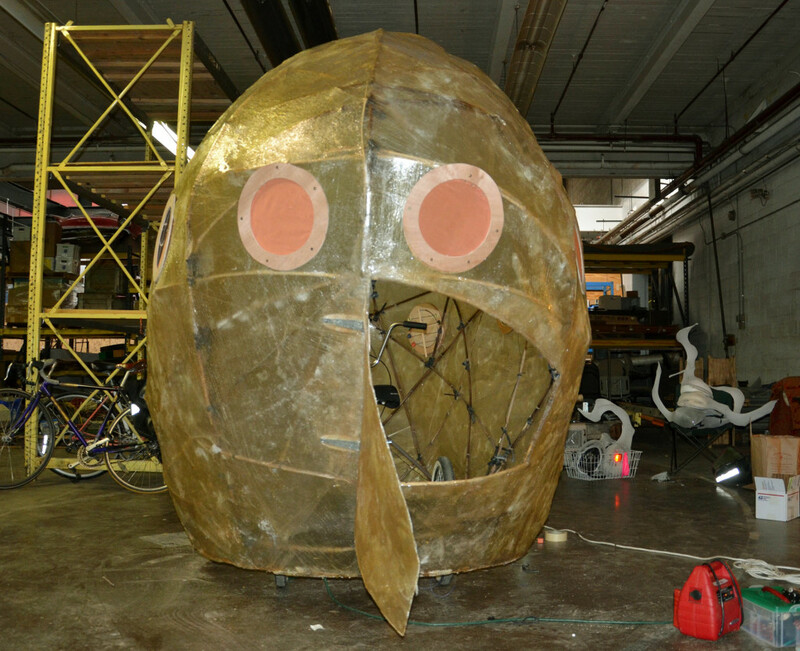 She is a recipient of a 2011 Henson Foundation Seed Grant for new work. 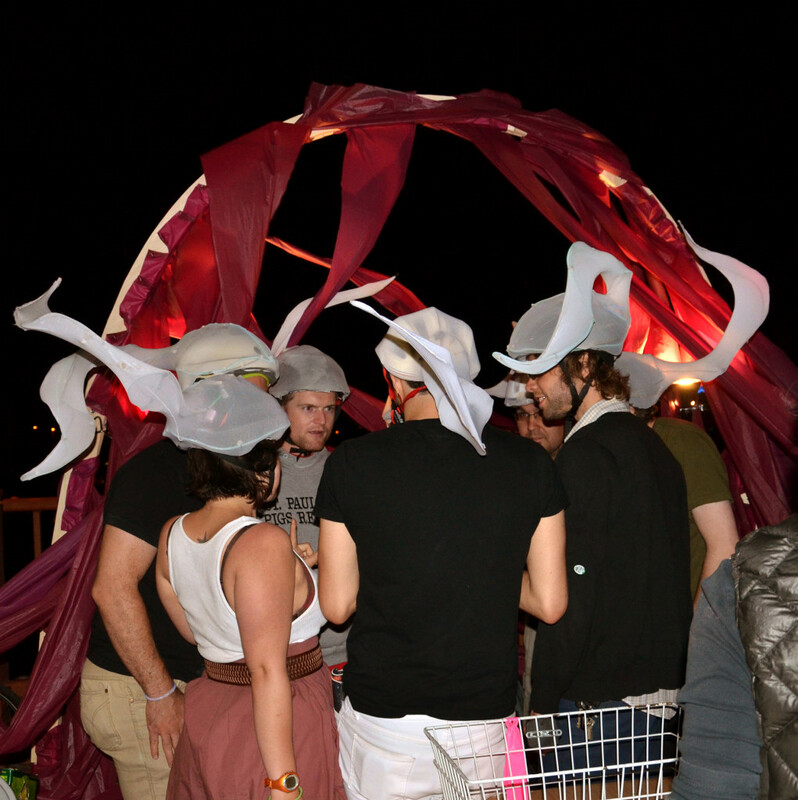 Collaboration with Kristen Murray on circuitry; with Emily Stover on the Uterine Arch.